“How do I determine the sales price of my foreclosure flip”? Obviously, pricing a property right is the most important element of a successful flip. Price it too high and nobody notices. Too low and you left cash on the table. So how do you price your flip? Your max foreclosure bid should be the price you can sell the home for after it is fixed up, less the cost of repairs and closing, less the profit you hope to make. So you should never buy a rehab property without having a very good idea about your after-repaired sales price. Price BEFORE you buy, not after. 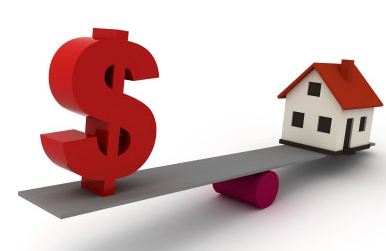 Appraisers use comparable sales of similar properties to determine fair market value. In a perfect world, the appraiser uses close-by comps the same size, age and style, that sold in the past three months. Good luck with that. So how do you find comps? If you have access to a local Realtor board’s MLS, that is obviously your best source of info. If not, you will need a Realtor or appraiser to pull comps for you, or find another source. Even if you have MLS access, you want a second source of info, because your MLS only covers Realtor-listed sales, and plenty of houses sell without a Realtor. Appraisers are going to look at comparable recent sales, so if you have a financed buyer, your house better appraise based on the comps. But comps are not your competition. You sell against the other houses on the ACTIVE market, not the closed market. So before you price your home, you better know what other homes your potential buyer will be looking at along with your home. We buy homes in several large developments with over a thousand homes each. Within these developments, there are areas where identical homes have a price difference of about 10%-15%… within two blocks of each other. It’s a small enough difference that you would never see the trend until you are actively working that neighborhood. But it is a difference you can’t afford to ignore. And only experience is going to teach you to recognize the subtle differences. Once you have a clear idea of past sales and active competing properties, it’s pretty simple to price your house competitively. We usually try to price flips about 5% below similar active houses. If everybody else is at $80k, we price at $76k. That makes our property noticeably cheaper and grabs attention. And no… we are not leaving money on the table. The cheaper price results in multiple offers, and we end up with the maximum possible price. The other way to go, is to make your house the nicest house on the block, with options the other houses don’t have. An extra bedroom. A pool. Larger garage. If the home has these extras, then we usually price 5% higher than the typical competitor. But for a quick sale, nothing beats a house with extras AND a price 5% lower than the other available homes. Yet I’ve seen investors make pricing decisions based on these irrelevant emotional factors too many times to count. And a few months later, they are still sitting on a house that should have sold in a couple weeks. If you overpaid for the house and ran over-budget on repairs… those are sunk costs. Your buyer isn’t responsible for your screw up. Sell the house, acknowledge the mistake, and try not to do it again. But price your house to sell, not to recover from your mistake. If we’ve priced a house correctly, we have offers within a week. If we don’t have at least one offer in seven days, we tweak the price. We might only drop it by $100, but this keeps it on the MLS “Hot Sheet”… the list of recently added or changed listings. So a new group of real estate agents add our house to their showing list for the next weekend. The market will quickly tell you if you’ve priced correctly. If we are not getting offers, we are priced too high. The exception to this rule of thumb? One-offs. When you are flipping a large home, a farm, vacant land or a commercial property, you may just need to be patient. The price may be perfect, but you need to wait for the right buyer to come along. But with a typical single family home, price is what moves the house. If the house isn’t moving, change the price. This entry was posted in Foreclosure, Housing Prices and tagged appraisal, comparable sales, MLS, Pricing, Realtor by David Midgett. Bookmark the permalink.